Have you ever dreamed of discovering an untouched destination? A stunning location that offers the finest of life’s simple pleasures? A culture that embraces the land they live on and works to protect its beauty? 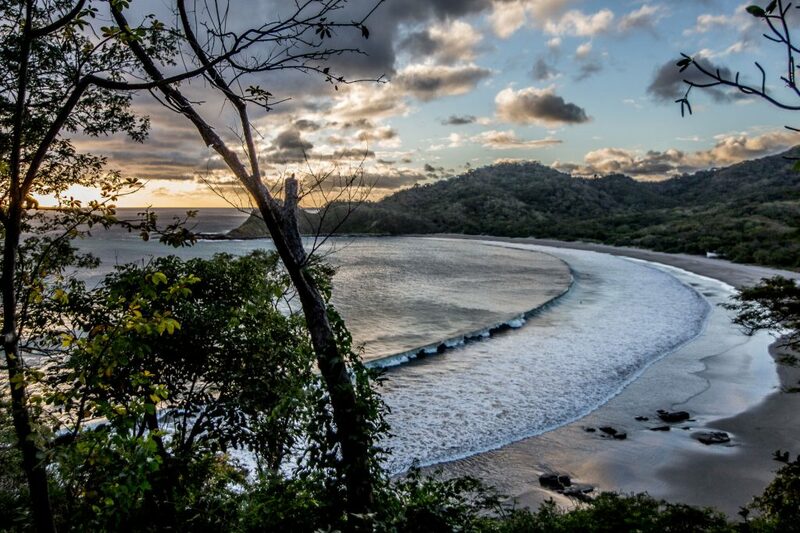 Good news: this destination does exist – it’s Nicaragua! 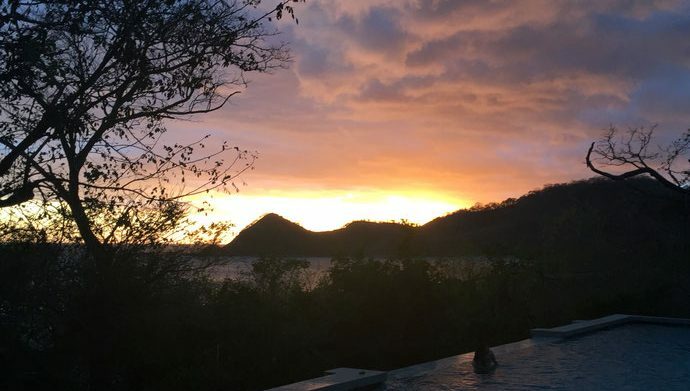 I had the absolute pleasure of spending six incredible nights at an ecolodge in Nicaragua called Morgan’s Rock, a 5-star luxury ecolodge near San Juan del Sur. 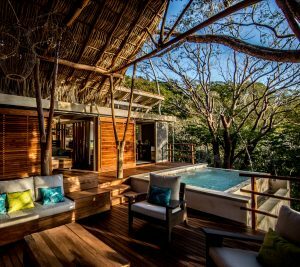 It is located on nearly 4000 acres of Nicaraguan Jungle but only has 19 bungalows spread over 400 acres as the main business here is conserving the environment. Though a world away from big city luxuries, they leave no touches undone when it comes to service. 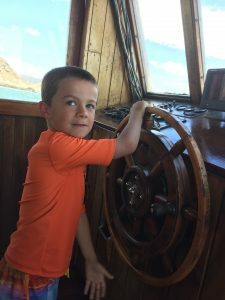 The trip felt like a bit of the risk taking my 6 and 8 year olds who are relatively plugged-in and used to vacations that involve some sort of manufactured fun but we had an amazing time. Though there is great Wi-Fi on property, the bungalows are TV free. 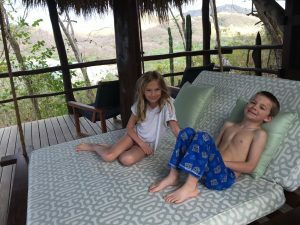 I like to think of it as glamping with the most comfortable bed in the world, your own private plunge pool, indoor/outdoor showers, and amazing views for miles. On arrival, our party of 16 was greeted by the staff with a welcome drink and a table reserved for us to have dinner. They whisked our bags away to our bungalows and encouraged us to eat before getting to the rooms even though it was getting late. Escorted by the hotel manager, we were given an overview of how everything in the room worked and most importantly the Breeze Bed, an amazing piece of technology that looks like a canopy over the bed but provides an intermittent cool breeze to keep you comfortable throughout the night (so important since the rooms do not have AC). We were there in the hot/dry season and we never had trouble sleeping. I miss that Breeze Bed! See photos of the rooms below. 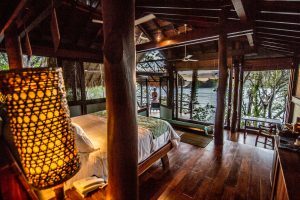 The next day we looked out from the bungalow, and we couldn’t see anything but jungle and the gorgeous bay below – it was simply stunning. 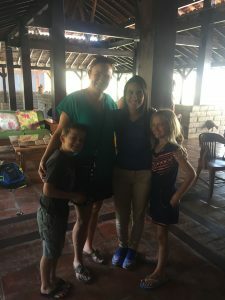 I loved the natural noise machine, which included waves to put you to sleep and birds and monkeys to wake you up (a pair of earplugs is advised if you are a light sleeper). A morning walk across a suspension bridge took us to our delectable [complimentary!] breakfast. 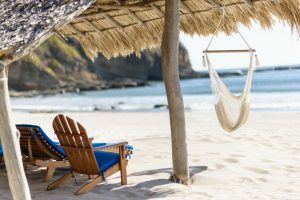 Activities on the property included relaxing on the mile long private beach, snorkeling and sport fishing trips, shrimp farm visits, making an authentic Nicaraguan breakfast (including milking the cow and gathering your own eggs), yoga on the most gorgeous of yoga platforms, spa treatments, drinks by the pool and horseback-riding. Plus, spotting monkeys, sloths, birds and reptiles if all that is not enough! The culinary experience defined in a word is fresh – 60% of the food served at Morgan’s Rock is sourced on the premises! The most outstanding things for us were the cocktails (I’m still dreaming of the fresh passion fruit margaritas), the fresh pressed juices, and the ceviche. But what stands out above the rest is the outstanding service. From the guides to the servers to the housekeepers to the hotel manager, we were impressed at every turn. From day one they knew our names (and were never referred to as “Room XYZ”) and we all felt like family by the time we left. 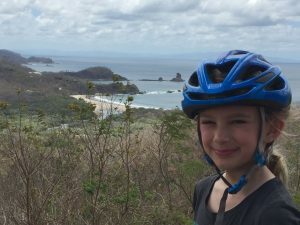 I wasn’t sure we were going to be an ecolodge kind of group, but Nicaragua is now at the top of my list. I can’t wait to go back! Their tagline, “Disconnect to Reconnect” couldn’t be more genuine in my experience. Double rooms from $265, including breakfast. 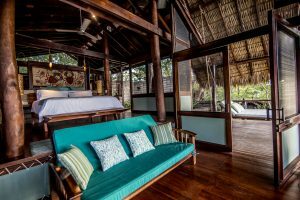 If you just can’t wrap your head around the ecolodge idea… below are a couple of Ultra Luxury Nicaraguan Alternatives.